I’ll excuse the iPhone like icon for now as the Kinect Star Wars app for Windows Phone is now available. If you are a huge Star Wars fan, you can download this free app developed by Microsoft which gives you access to your Facebook and Twitter accounts so you can socialize in style. Kinect™ Star Wars™ is the game that lets you feel the Force, without the need for a controller. 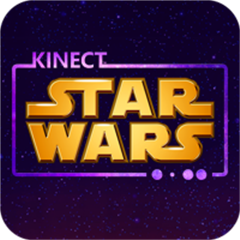 This app brings the Kinect™ Star Wars™ universe into your social networking world. With full access to your Facebook and Twitter accounts, you can even view your feeds in the style of the iconic Star Wars™ opening title sequence. Written by: Hyde13 on April 17, 2012.